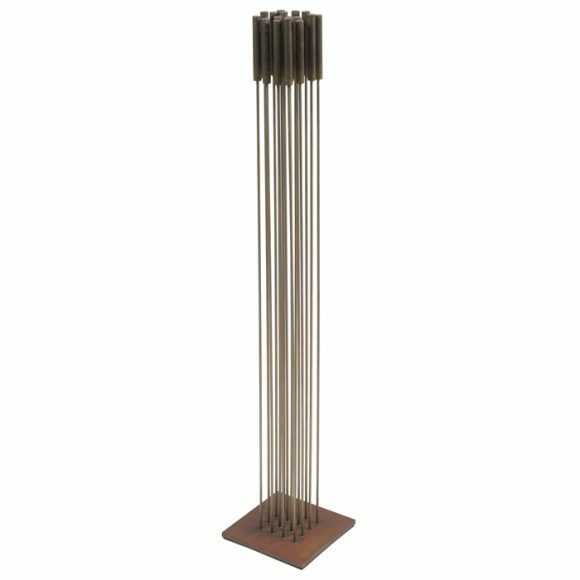 Harry Bertoia was born in Italy and followed an older brother to Detroit, Michigan in 1930. He received a scholarship to study at the Cranbrook Academy of Art, where he met Walter Gropius, Florence Knoll, Eero Saarinen, and Charles and Ray Eames. 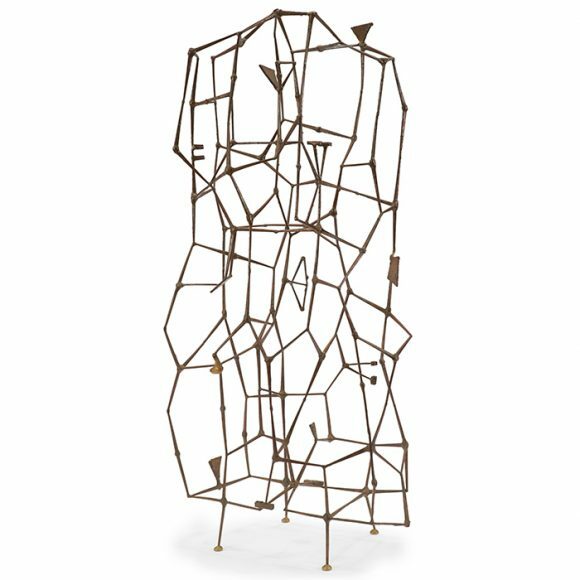 Bertoia taught jewelry design and metal work at Cranbrook, exploring forms and ideas that would eventually appear in his sculpture. During the Second World War, he moved to Venice, California and worked with Charles and Ray Eames at the Evans Products Company to develop new techniques for molding plywood. 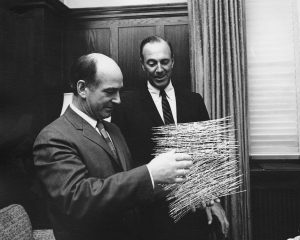 While in California, Bertoia learned welding at Santa Monica City College. In 1949, he was invited to work with Florence and Hans Knoll. His furniture designs proved lucrative, which enabled him to pursue art and sculpture. 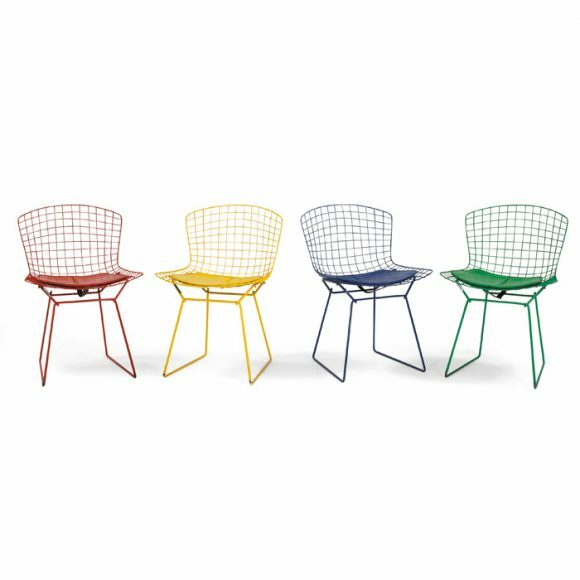 Bertoia’s three-dimensional art pieces embody strong architectural design and explore themes of juxtaposition and transparency. 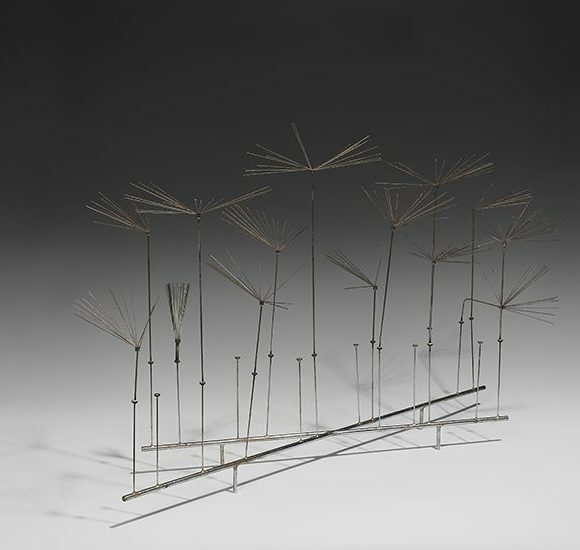 Bertoia also explored abstractions of sound with his Sonambient sculptures.